Buried pipeline along Route 973 in Watson Township, Lycoming County, Pa.
About six years ago, each started exploring, independently, how the Marcellus shale industry was affecting land and people in Pennsylvania. They met through the Penn State Marcellus Shale Gas Ethics Interest Group, and began collaborating. 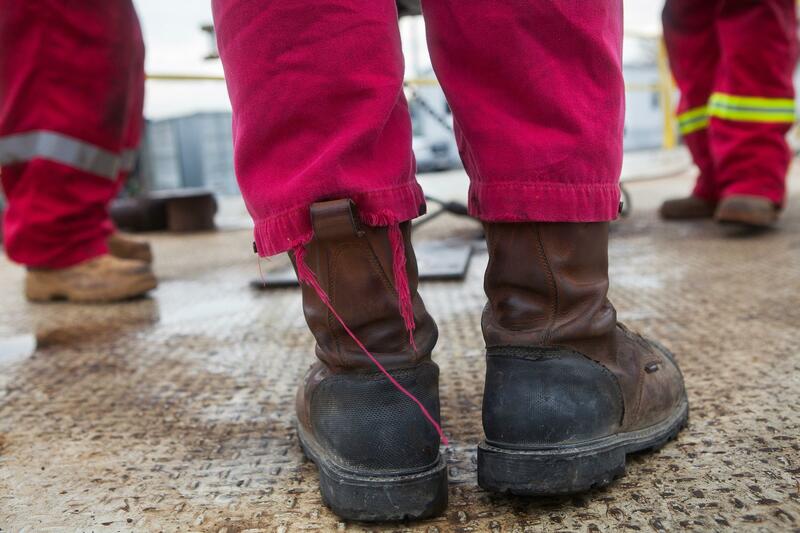 The result is “Shale Play: Poems and Photographs from the Fracking Fields,”a book of Rubin’s photographs and Kasdorf’s documentary poems.Kara Holsopple spoke them recently to learn more about the project. 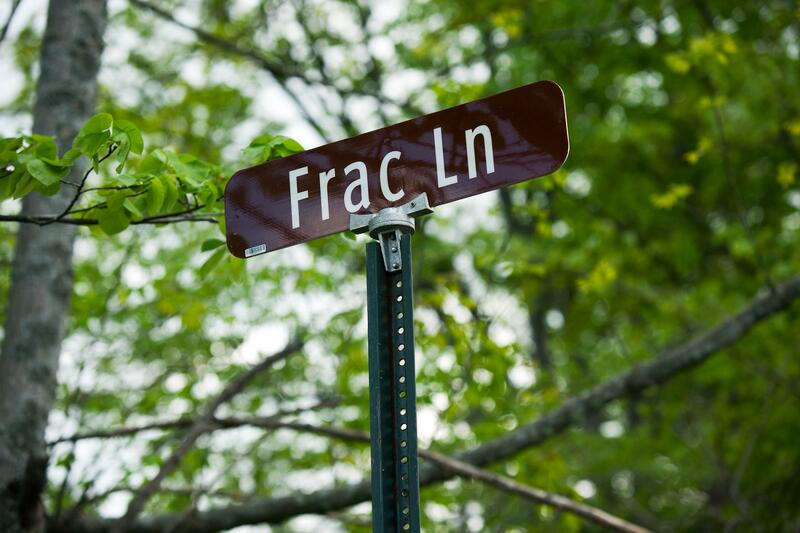 The intersection of Frac Lane and No. Bullock Road in Charleston Township, Tioga County, Pa. Laid off with the industry's downtown turn after five years working for Halliburton, a worker gets re-trained in the Roustabout certification program at Pennsylvania College of Technology's Energy Technology Education Center in Montgomery, Lycoming County, Pa. on Oct. 9, 2015. 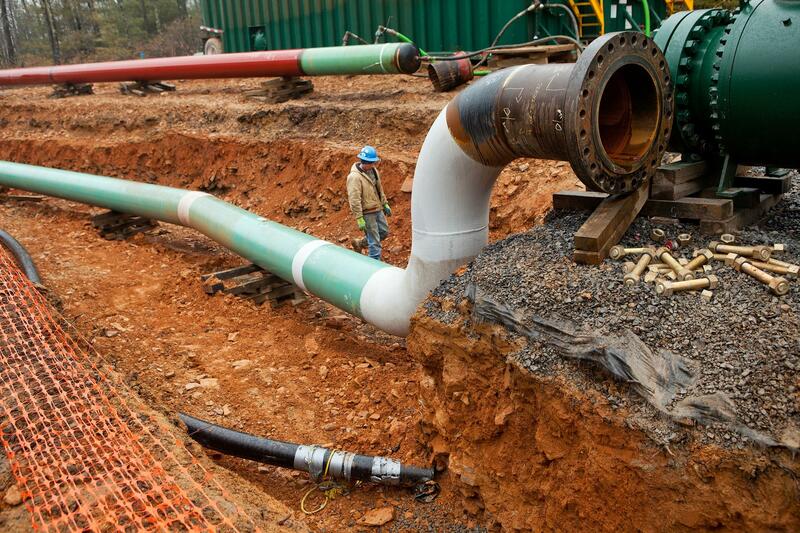 Worker assisting in the pressure test of a new gas pipeline inside Tiadaghton State Forest, Lycoming County, Pa., on April 4, 2014. As others in the state Capitol prepared to bring in the building’s annual Christmas tree, Auditor General Eugene DePasquale held his own version of a holiday celebration. He hosted several representatives from the Pennsylvania chapter of the Public Interest Research Group, who recently released its 33rd annual holiday toy advisory, available here. This one includes warnings about 15 different toys, out of 40 tested.